Iran’s men’s volleyball team is a true power of the world. Ranked 8th in the FIVB World Rankings, a 2016 Olympic qualifier, the bronze medalists of the 2017 Grand Champions Cup, and the two-time defending Asian Games champions, Iran is probably the best team in Asia right now. Their women’s program, however, has struggled to keep pace. That’s due in large part to cultural influences that make it hard for women in Iran to play sports at all. The team was just 8th (out of 10 teams) at the 2018 Asian Cup, and withdrew from the Asian Games. They are ranked tied for 115th in the world by FIVB – the lowest that a federation can be ranked. Thanks to a number of reforms enacted in the last few years, however, that is starting to change. Human Rights Watch says that women are now being permitted, albeit carefully, to watch international level volleyball matches in the country, and the country sent a female referee as its representative at the Asian U20 Men’s Volleyball Championships earlier this summer. 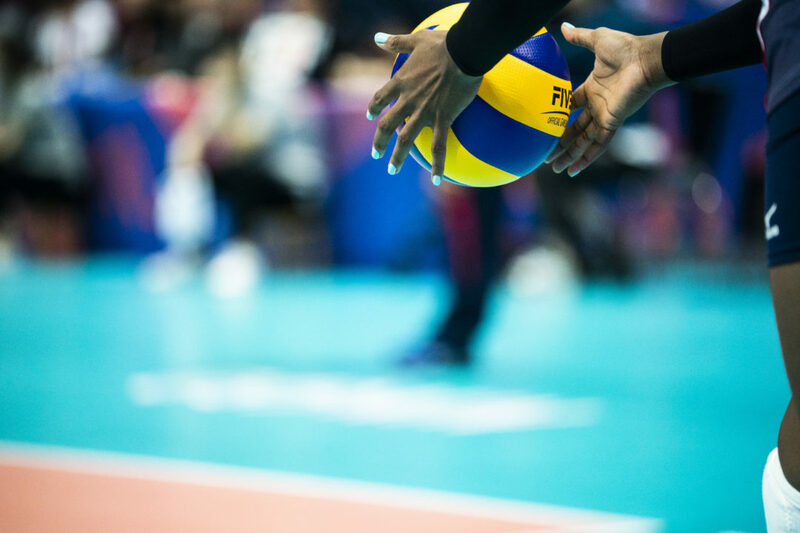 Those were key points on the path to a watershed moment last month, when Maedeh Borhani signed a contract to become the first Iranian female volleyball player contracted to join a professional European league last month. After playing her first season abroad with the Shumen W club in Bulgaria, she has transerred and signed with Kecioren of the Turkish top league. She played her first match, in a preseason tournament, this week with Turkish side Kecioren Baglum Spor. The team went 28-1 last season okaying in the 3rd tier of Turkish volleyball (“Women’s League 2″), and their mayor (the team is a municipal team) kept his promise to promote the squad to the 2nd tier (Women’s League 1”) of Turkish volleyball this season. The team officially opens their season next week on October 7th against cross-town rivals Ankara (Kecioren-Taha Akgul). The 30-year old Borhani is the captain of the Iranian women’s national team, and led the squad with 69 points in just 5 matches, including a 29-point output in the preliminary rounds. Iran beat Australia twice in the tournament, but then lost 3-1 in the 7th place classification match.